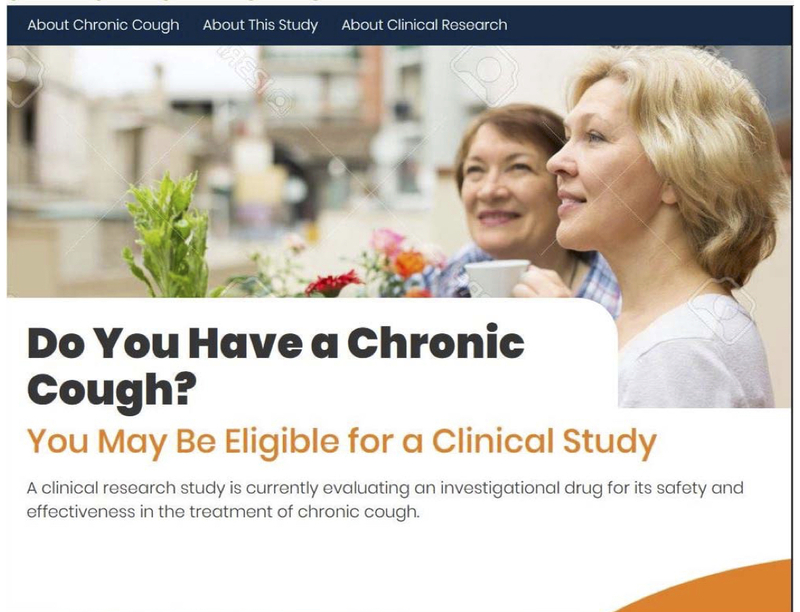 Have chronic cough for ≥1 year and a diagnosis of refractory chronic cough or unexplained chronic cough. Women and men at least 18 years of age at the time of informed consent. History of chronic bronchitis, defined as a cough that produces a clinically significant amount of sputum (greater than approximately 1 tablespoon of phlegm) that occurs every day for at least 3 months in a row, with those periods occurring at least 2 years in a row. Individuals who are currently taking an angiotensin converting enzyme inhibitor or have taken an angiotensin converting enzyme inhibitor within 3 months of Screening/Visit 1. Screening systolic blood pressure >160 mm Hg or a diastolic blood pressure >90 mmHg.